We all need a place to call home – a place to feel safe, sound and comfortable. However, feeling “at home” is not as straightforward as it used to be. The growing concern for global climate change has transformed the home into something much more complex and demanding. Today, the ability to be energy efficient while ensuring a healthy indoor climate has become the number one challenge in our building stock. And since we spend up to 90% of our time indoors, it isn’t something we should take lightly. To meet this challenge, the VELUX Group built 26 Active Houses (in partnerships) in 12 countries from 2005-2015. All buildings are based on the Active House principles of a user-centric approach to comfort, energy and environment.1 Six Model Home 2020 buildings, socalled model homes, were researched in depth; this gave a reassuring look into the potential of sustainable building design. Based on feedback from scientists and the test families, we learned that by employing our current knowledge and technology we can create a healthy and pleasant home environment and still reach the EU requirements of all new buildings being ‘Nearly Zero Energy Buildings’ by 2020”. Tomorrows buildings are here today. During the test families stay in the demo buildings, we learned that only if the occupants perceived a clear benefit within the indicators, i.e. more daylight, better air quality, saving energy etc., would they change their behaviour. In other words, perception became a motivational driver for seeking sustainable solutions by way of daily conduct and even inspired plans for renovation in the normal homes of the families. So we asked ourselves, what do inhabitants really think about their indoor environment? And then we started our study on healthy homes. 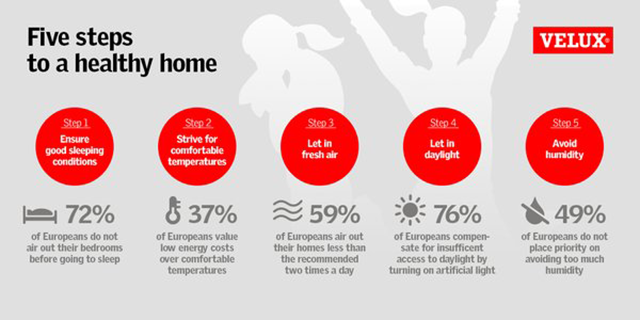 The Healthy Homes Barometer can point us to five specific actions that Europeans could take in their everyday life in order to have a healthy home. However, changing daily behaviour and routines can be hard. In the 2016 survey we try to understand what Europeans experience at home. In what way do they actually perceive the difference that a healthy home makes? Answers from 14,000 respondents in 14 countries have helped us create a comprehensive ranking of what dwellers experience as being most important in terms of home satisfaction and wellbeing. 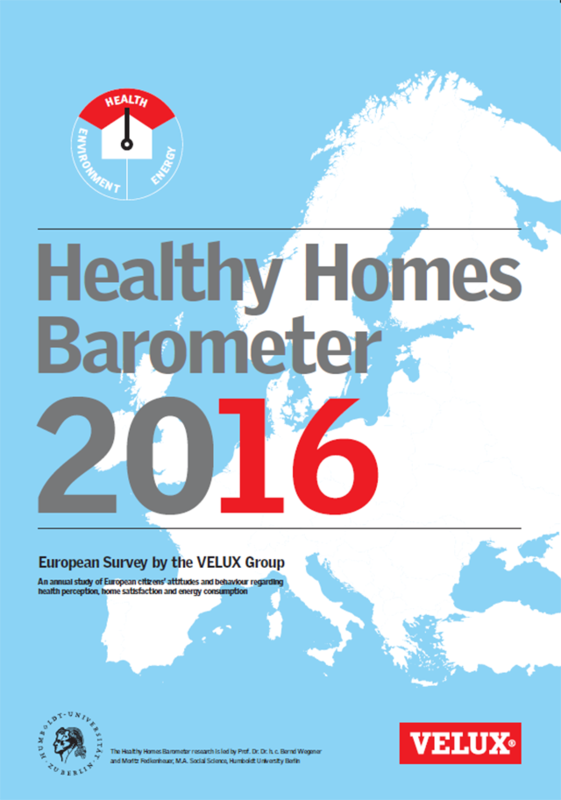 The Healthy Home Barometer 2016 is an attempt to learn what perception is of Europeans, when they make the everyday decisions that are vital to a healthy home. I’m excited to be able to share this knowledge. As societies, we need to protect our common future by reducing energy consumption – but also by making sure our homes remain comfortable and healthy. We need to be aware that crucial decisions aren’t always made in the EU or by our national governments, but that all Europeans can make a difference through the choices of everyday life. The report gives an overview of what Europeans want from their homes, what benefits their health and home wellbeing and which drivers motivate home investments. The good news is there is alignment between what Europeans want and what is good for them. I look forward to sharing our findings with you and hope you will engage in a dialogue with us to develop a more comprehensive understanding of what a healthy home is all about.